On engines with extremely low idle vacuum signals, it may not be possible to run a typical PCV configuration. Stock style PCV valves, as well as the Dual Flow PCV Valve, transition from idle mode (low flow rate) to cruise mode (increased flow rate) depending on engine vacuum signal. If an engine’s vacuum signal is very low at idle (less than 7″ Hg), it may be difficult or impossible to actuate the PCV valve with this weak vacuum signal. Also, some radical camshafts generate an unstable vacuum signal at idle, which is observed by a vacuum gauge needle that wavers quickly. This unstable signal may also make PCV tuning difficult. The Dual Flow PCV Valve can be configured to run in fixed orifice mode in these cases. In this mode, the PCV will generate an almost constant flowrate under the majority of engine operating conditions. This mode of operation does not rely on a vacuum signal to switch between idle and cruise modes of operation. 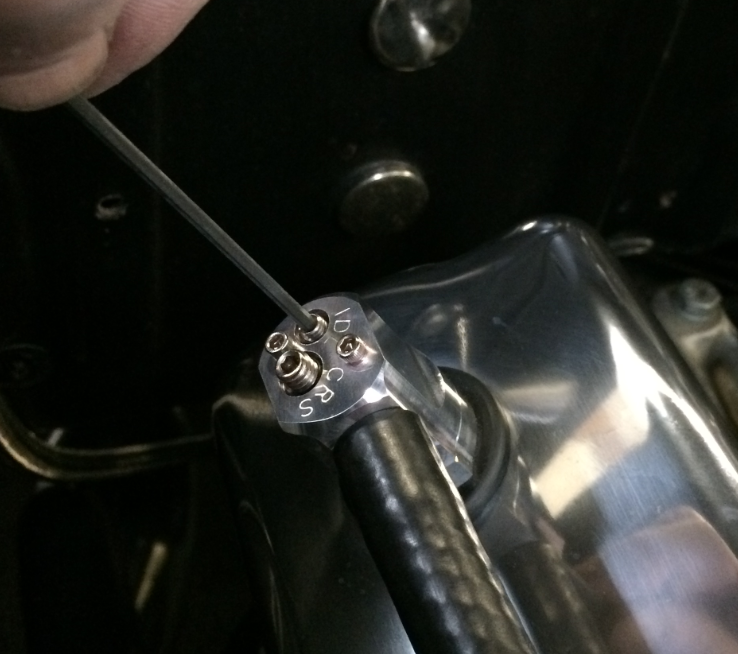 On the Dual Flow PCV Valve, the idle circuit will be used exclusively in this tuning configuration. Rather than use a reduced amount of airflow at idle and an increased amount of airflow under cruising conditions, this mode of tuning will use an increased amount of airflow through the engine at all times. Typically more radical engines can tolerate an increased amount of crankcase airflow at idle, due to increased idle airflow demands of camshafts with large amounts of overlap. 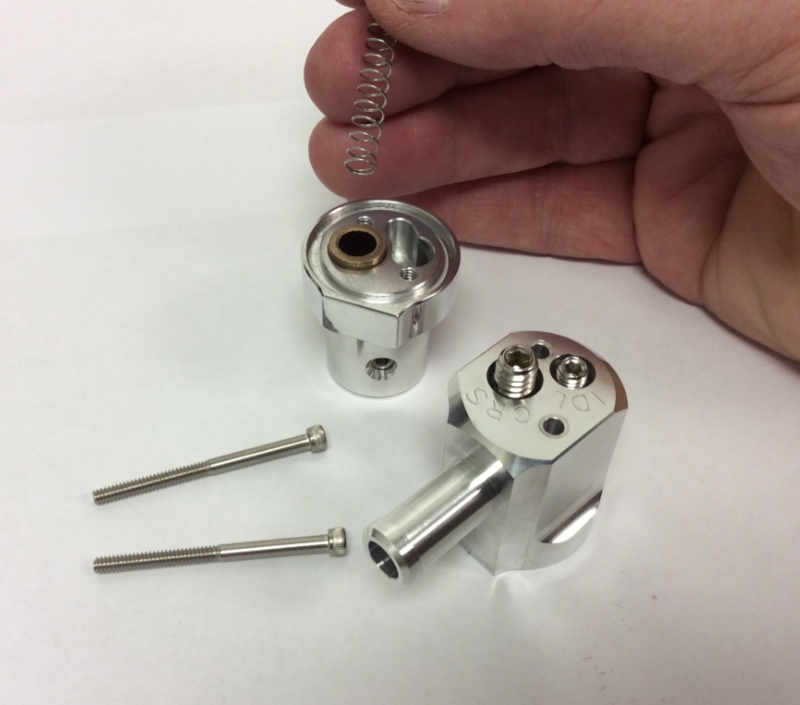 Converting the Dual Flow PCV Valve to run in fixed orifice mode is simple and requires only a few minutes of disassembly and reassembly. At this time, the spring which controls the transition to cruise mode is removed completely, which locks the Dual Flow PCV Valve into using idle mode at all times. The valve is reassembled, and the user configures the idle circuit to have an increased flow rate during the on-car tuneup. All tools required for this changeover are included with the purchase of each valve. All backfire and reverse flow protection is retained when operating in fixed orifice mode. A few automobile manufacturers have released fixed orifice type PCV valves in the past, although they are not typical. These stock style fixed orifice valves are not adjustable, and do not provide any tunability to the end user. The Dual Flow PCV Valve operating in fixed orifice mode is the only PCV valve available to offer the stability of fixed orifice tuning, full backfire protection, and full user control over the valve’s flow rate.